"I love the colours, it doesn’t look like a brush at all. It seems a lot more hygienic than a standard brush. You can see the washing up liquid which means less waste." "The opposite end of the flower cleans the teat & is the perfect fit for our teats. It’s exceeded my expectations, it does the job & looks good doing it." "Made from super tough silicone that won't damage your bottles, this bottle brush is a durable option for cleaning. Flower power!" Make bottle and teat cleaning an easy and stylish affair with the Boon Forb Silicone Bottle Brush. 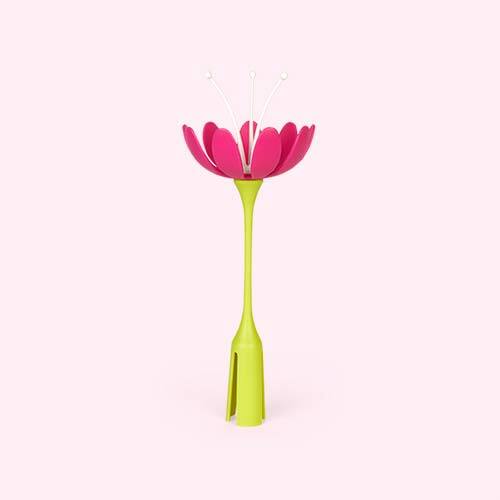 In the shape of a flower, this cool brush also has a special teat cleaning feature, making life so much easier when it comes to that cleaning. Boom.